Is This Brand Of Coffee A Good, Cheaper Alternative? I love Dave's coffee, I really do. And I will always support his products because of how awesome he is, and how good his products are. Being a college student though, sometimes the coffee, MCT, and everything else to use on a daily basis adds up. Plus I share with my family and friends on occasion, even though I pay for it, and it really starts to add up and go quickly. 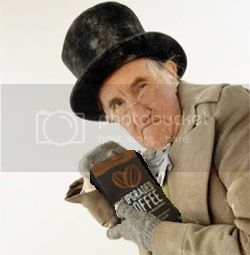 I researched some coffee brands on Natural News recommended this company http://www.thrivefarmers.com/. I cant remember or find what process Dave says is the best, but what do you experts think of this coffee when reading about its credentials? Also, what else is something you use a lot only of Daves, and things you use that are alternative brands? I used both Dave's MCT and NOW's and really did not tell a difference, except in price. His coffee though has so far been way better than any store bought one I could find. for the little bit extra per cup, isn't it worth cutting back somewhere else other than in the upgraded coffee department. Well its almost half the price since Daves shipping is expensive and if its just as good I wouldn't mind saving the extra 10 bucks, and plus just mixing it up, sometimes I get a bored with the same coffee taste everyday and my mom, and others I know, do not like the taste of Dave's. I'm sure they are just used to crappy coffee, so when good coffee comes their way they don't know what to do. Personally, I'd buy the Bulletproof 5 Lb coffee bag (tested for mycotoxins). Then divide the 5 Lb bag into a number of freezer bags. Good luck to you, whatever you decide.